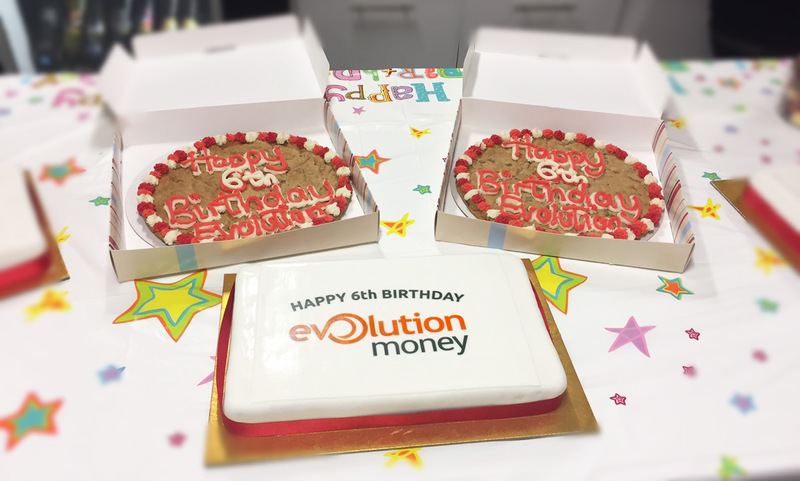 The 16th of May is a very special day on the Evolution Money Calendar – it’s our birthday! So, this time 6 years ago what was happening…? Well, our colleague James was sitting at his desk (as he is today) but back then he was very excited at the thought of us funding our very first loan, a loan for £750. It was Monday 16th May 2011 and the business was packaging its very first loan. We had been preparing for this moment for five months and the tension was building… we packaged it, approved it and prepared it for a pre-funding review. At 16:44 on Monday 16th May 2011 we hit the button and the funds were transferred and that was it, our first loan was funded and Evolution’s journey had begun…! Fast forward 6 years and what does the business look like today? We’ve outgrown the stationery cupboard we started out in and now employ over 150 people. From that first loan for £750 we have gone on to lend a staggering £134m to over 14,000 customers. That’s certainly something worth celebrating. One of the highlights of the last six years must be watching how people have grown with the business and seeing new people join. At Evolution Money, we truly do have a brilliant team of people. It’s testament to the business that many of the original team are still here all this time later. Six years on, as MD, I am still as excited as I was when we funded that first loan. The building blocks have been secured for the future and the business continues to grow from strength to strength. The future is still for us all to determine and if we work together it will be great. We must remember the founding value of our business, succinctly rolled up in one word – TRUST. Trust that we are doing the right things every day. Trust from our investors that we are running a compliant and robust business. Trust from our customers that we interact with them in a fair and transparent way, ensuring they are at the heart of everything we do. Trust from our colleagues that we are all working together and that no one individual is more important than the team…. If we achieve this then we will continue to have a great business.